We are proud to present our Top 9 most popular Instagram pictures of 2018! P.J.E. 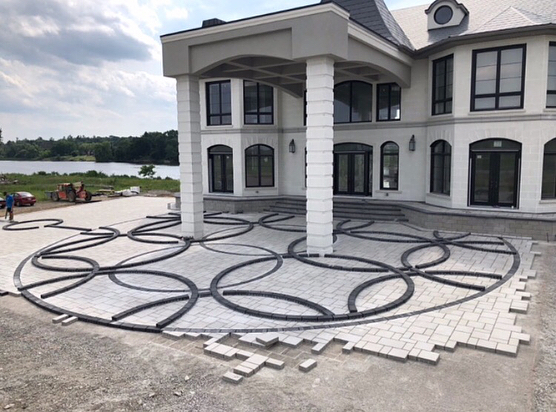 Lawn Care & Landscaping redefined the overlay game with this unique design made with our Blu Grande in Shale Grey and Onyx Black. 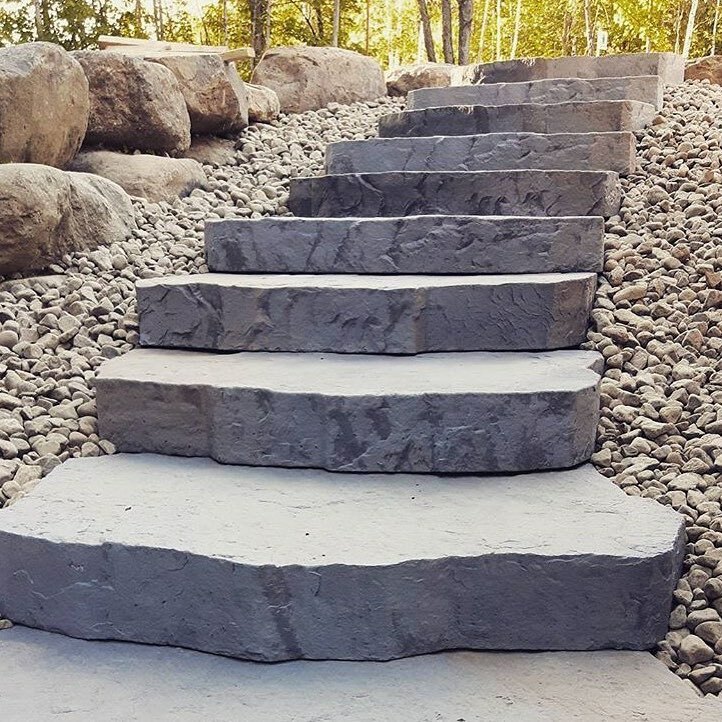 Aménagement Onyx made a big impact with our Maya steps. Impressive 4 product mix (Antika, Victorien, Squadra and Blu 60) surrounding our Brandon Fire Pit, brought to life by Premier Outdoor Living LLC. 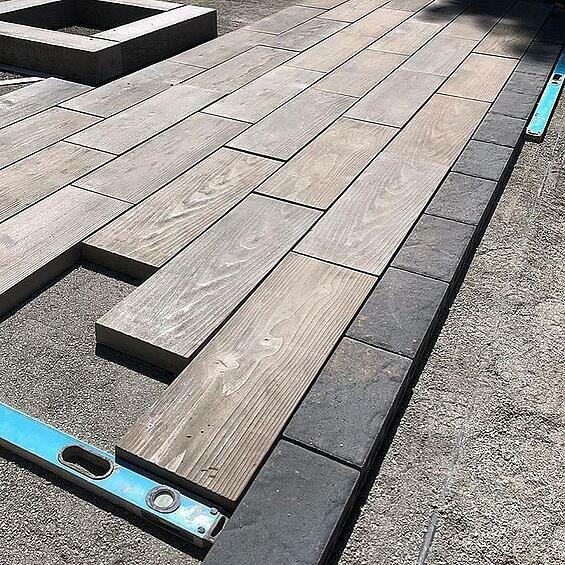 For this unique project, Glover Brothers Landscaping used our Blu 80 in Greyed Nickel and 6 x 13 Onyx Black inserts. 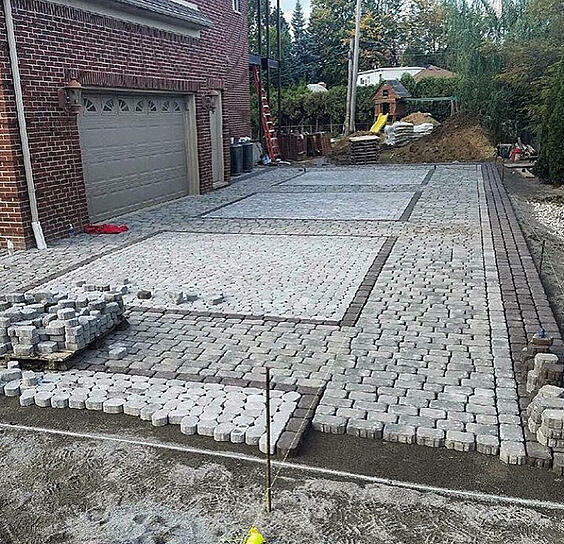 These Villagio pavers were laid by Williams Outdoors Inc. Notice how the modified herringbone pattern near the garage makes this project stand out. Nice combination of our Borealis slabs 10 x 30 and our Blu 60 Slate 6 x 13 border, laid by Showcase Stoneworks. 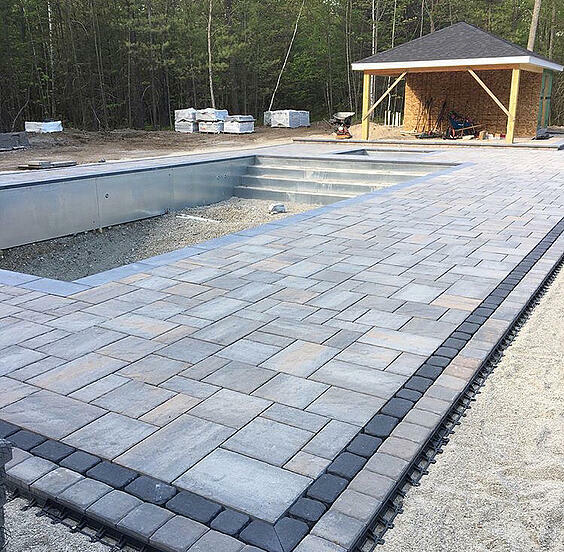 How great does Villagio look as a border combined with Parisien Square, next to this Blu 60 Slate poolside? 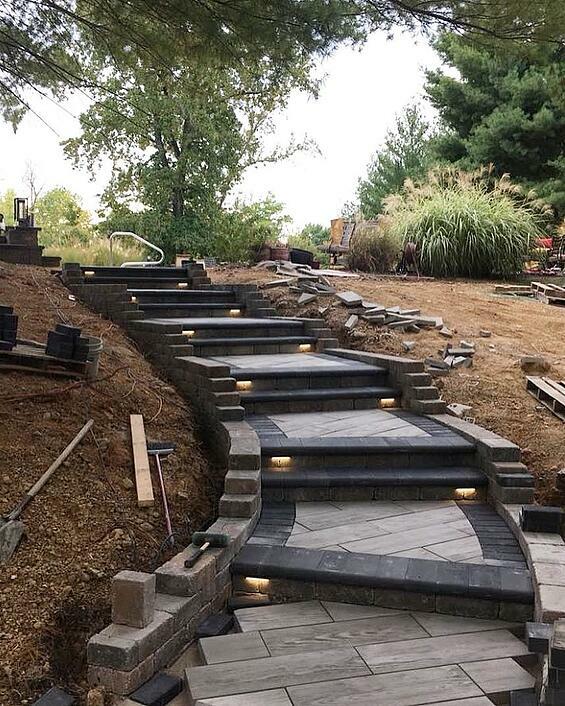 Amazing landscape constructed by Carrolls Landscaping. 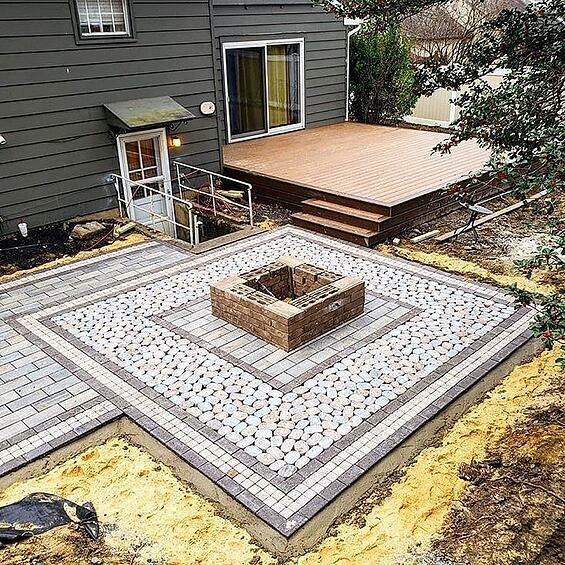 Techo-Bloc's line of products makes it easy to mix and match. 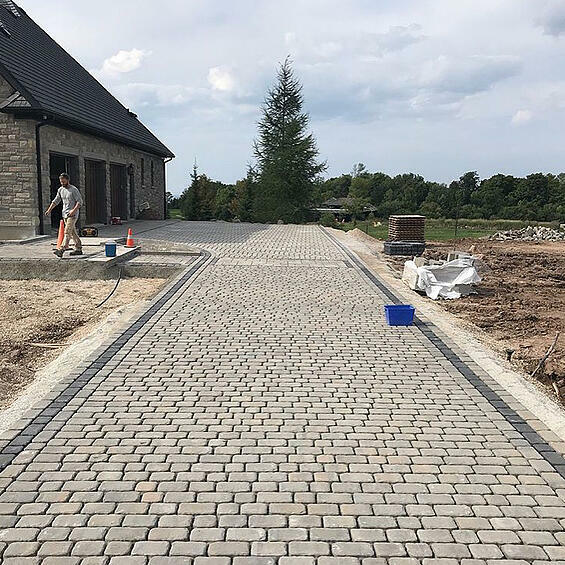 Ventures Design & Build used our Antika and Villagio pavers for this project. Bullnose caps and Borealis slabs put together to create a gorgeous staircase framed in by Manchester wall block. 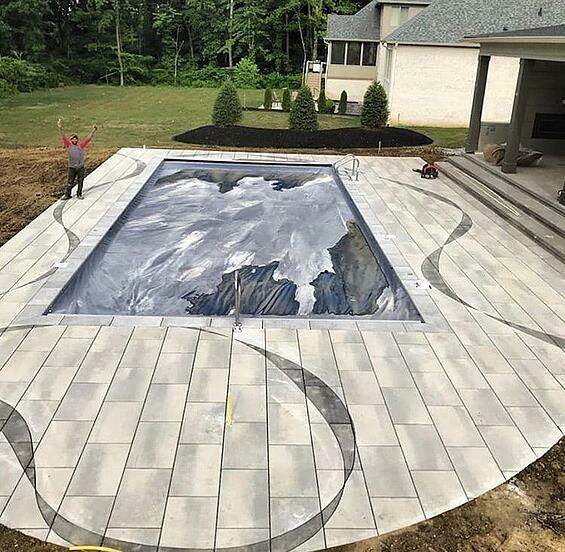 Be sure to check out your nearest hardscape trade show, Contractor Showcase or Techo-Bloc Authorized Dealer to pickup your copy of the 2019 Landscape Catalog and see which of these projects made the cut! FOLLOW US ON INSTAGRAM FOR MORE BEAUTIFUL PROJECTS!